Youtube is the most popular video sharing website. Millions of videos are viewed daily by users around the world. Recently Youtube has launched many features. Offline watching is the very important feature that Youtube has introduced. Most of the people watch the video and they love to download them on their mobile and computer. But Offline feature is available only on mobile and videos are not downloaded on your phone’s storage. Also when you uninstall the youtube app, the Offline videos gets deleted. 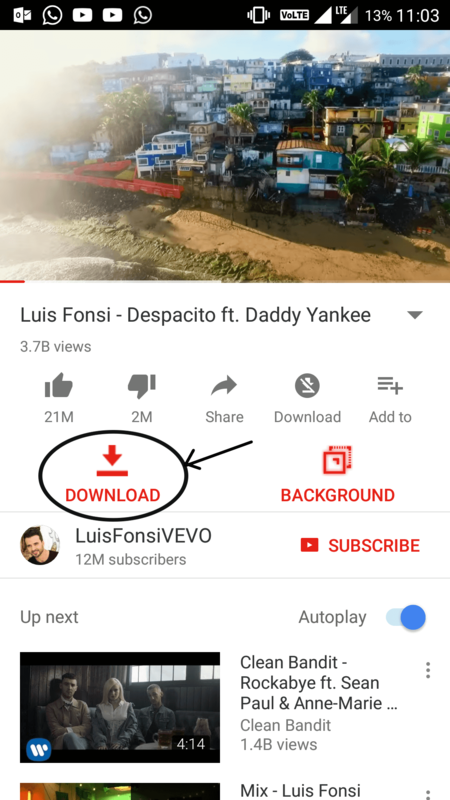 So today we will share with you how to download youtube videos. You can download videos from Youtube using a modded version of Youtube called OGYoutube. 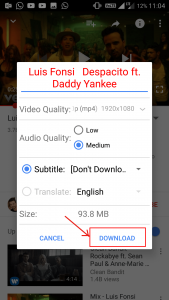 With the help of this app you can download videos on youtube with any resolution. The video can be download in any format. 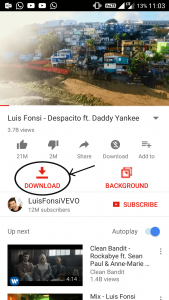 Also you can download audio from any youtube video. Download Youtube Videos with any resolution : 144p, 240p, 360p, 480p, 720p, 1080, 2160p (4K). Download in different formats : mp4, flv, 3gp, avi, etc. You can also download the video in audio formats : mp3 with low and high quality. Another important feature of OGYoutube is you can play youtube videos in background. That means you can play youtube videos even after screen lock. Visit the Official OGYoutube Link. Install the App. Make sure that your phone allows installations from Unknown Sources in Settings. Search or Browse for any video you want to download. Select your options like video resolution, audio quality and subtitles. Now you can store the downloaded video in your phone or transfer it to your computer. You can also play any youtube video in background by clicking the Background Button. Hope you enjoyed the post. If you found it helpful then please like and share on your social networks. To get posts and tricks like this you can subscribe to our newsletter.